Creative agency Pereira O’Dell New York has launched its first campaign for Jet.com. The campaign, “Our Carts Are Different Here,” underscores Jet’s importance to the lives of city dwellers by highlighting their authentic human stories by way of TV, OOH, digital, and social. In the video spots, Jet celebrates heroes in uniquely city environments – watching passersby from a park bench, skating down a busy street as tourists observe from a bus, hosting a dinner party in a small city apartment, and walking home from a late-night out while others rise to start their days. 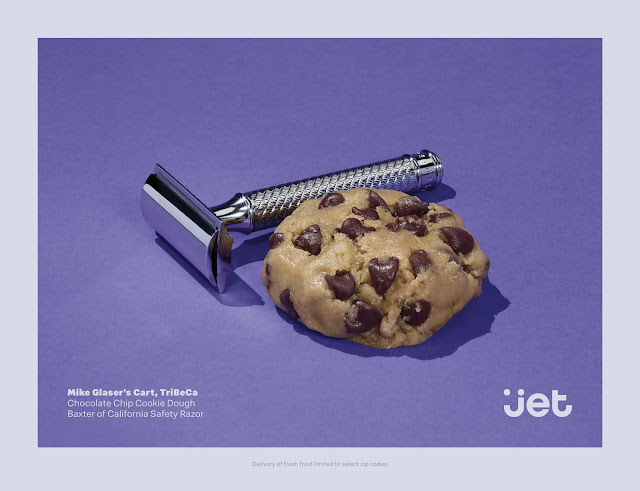 The OOH and digital elements use striking visuals to tell a similar story with products. Each execution features seemingly disparate items paired together, the combination of which reveals the story of the person behind the cart and how city-dwellers shop to fulfill their varied needs. From a media perspective, this campaign will likely be the most prevalent OOH in New York during Q4. This campaign supports the re-launch of Jet after its initial launch in 2015 and subsequent acquisition by Walmart for $3.3B in 2016. The new experience provides a more intentional catalog that is personalized and relevant to city consumers’ shopping preferences across key categories of Grocery, Home, Fashion, Beauty and Electronics.